Microbial Graffiti, oil and cold wax on canvas, 60 x 48 in. The Moon and Coccolithophores, oil and cold wax on wood, 60 x 30 in. Cumulus Bloom, oil & cold wax, encaustic, collage on canvas, 60 x 48 in. 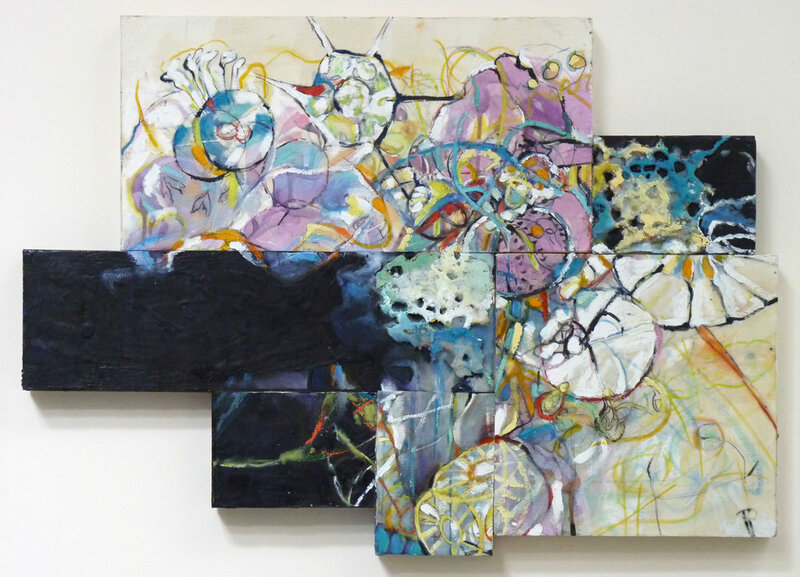 Nucleus Dreams, oil , cold wax, encaustic & collage on canvas, 61 x 27 in. 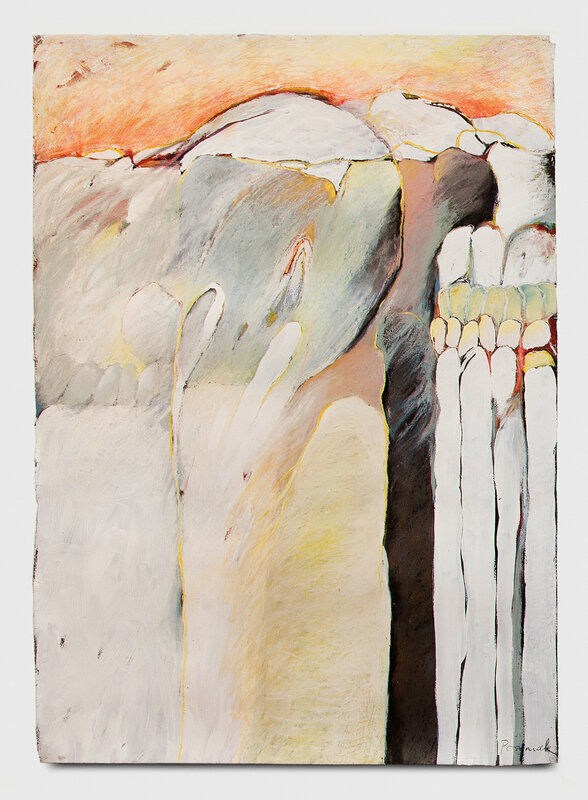 Oxygen Poem II, oil, charcoal, chalk pastel & oil stick on canvas, 30 x 78 in. Turquoise Bloom, oil, cold wax, encaustic & collage on linen, 48 x 36 in. Code, oil and encaustic on linen, 54 x 24 in. Invasion, oil, chalk pastel & charcoal on linen, 36 x 36 in. Life Trilogy I, acrylic, chalk pastel, oil stick & charcoal on paper, 71 x 50 in. Life Trilogy II, acrylic, chalk pastel, oil stick & charcoal on paper, 71 x 50 in. Life Trilogy III, acrylic, chalk pastel, oil stick & charcoal on paper, 71 x 50 in. Interplay I, mixed media on stone paper, 34 x 28 in. Budding I, acrylic & charcoal on paper, styrofoam & wood, 61 x 27 in. Budding II, acrylic & charcoal on paper, styrofoam & wood, 61 x 27 in. The Deeps Tapestry 5, encaustic & mixed media on panel, 26 x 30 x 1.75 in. Living Landscape 1, encaustic on panel, 14 x 11 in.